April 23, 2018 -- With the advent of 3D printers that cost less than $5,000, one of the biggest barriers for general dental practices to use this technology has fallen, according to a presentation at the 3DHeals 3D printing conference in San Francisco on April 20. 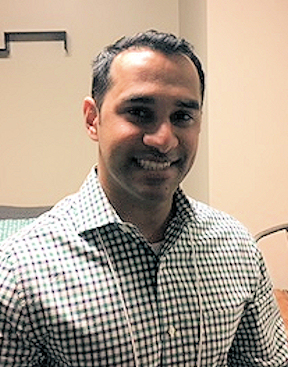 The main benefit of 3D printing to a general dental practice is in finding new ways to serve patients more quickly and at more competitive prices, according to speaker Nabeel Cajee, DDS, MPH, a general dentist practicing in Manteca, CA. "There's new technology emerging all the time that helps us think of better ways to serve our patients," Dr. Cajee told DrBicuspid.com. "3D printing can enhance what we as dentists do." It is estimated that 3D printing in dentistry will become a $3 billion industry by 2020 and a $9.5 billion industry by 2027, according to a January 2018 report by the company Smart Tech Publishing that Dr. Cajee cited in his presentation. Dr. Nabeel Cajee spoke at the 3DHeals conference in San Francisco. The growth will come from various directions, including dental labs, aligners, and more processes that the general dentist can use, he said. Dentistry is a price-sensitive field, with many patients not seeking or delaying treatment because of cost, Dr. Cajee noted. 3D printing gives dental practices a way to reduce costs by increasing productivity and reducing a patient's need to have multiple visits or wait weeks between treatments. The main applications of 3D printing are aligners, surgical guides, and dentures, but that will change as new imaging systems, software, and better scanners enter the market, he said. Dentistry faces different challenges than medical fields when it comes to adopting an innovation such as 3D printing, according to Dr. Cajee. "There's no hospital, no HMO to buy this equipment," he said. "The costs are on the back of the dentist." Which is why the cost of a 3D printer and necessary resins dropping below $5,000 is so important, Dr. Cajee said. And while other speakers at the conference who focused on medical benefits cited reimbursement issues, these issues weren't as much of a problem in dentistry, he pointed out. "None of us think about getting reimbursed for a surgical guide," said Dr. Cajee, citing one use of these printers. "And dentures, for example, it might not matter if you are printing them yourself or you are getting them elsewhere." As for the future, Dr. Cajee expects technology to continue to advance, bringing costs down and resulting in innovation into the dental practice. But it is all in service of helping patients create a lifetime of better oral health, he noted. "Dentistry is much more complex than ever," Dr. Cajee said. "Tools like 3D printing bring new treatment options into the hands of dentists themselves."